Everywhere we look, it appears that the secular left celebrates another victory lap. From politics to the media, from education to the arts, liberals seem to be completely in control. It's no wonder, then, that so many prominent conservative traditionalists are hopelessly pessimistic about the future of Western Civilization. But what if this is just one side of the equation? What if it turns out that brewing beneath the surface, a renewed Christian age is rising? In this thought-provoking book, Dr. Steve Turley argues that there is in fact two revolutions concurrently taking place: a demographic revolution and a political revolution, both of which suggest a significant conservative Christian resurgence. HERE’S A PREVIEW OF WHAT YOU’LL LEARN ………. 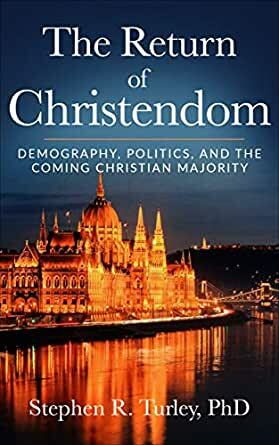 Drawing from scholarly studies and current events, Dr. Turley's study will inspire you to reject the naysayers predicting the twilight of the West, and instead embrace a hopeful vision of cultural renewal and the coming Christian majority.